An unusual, miniature, cast iron lace iron. This iron has a hole in the back where some type of heating implement would have been placed to heat the iron. There is also a hole in the front and this may have been to allow the steam to escape. 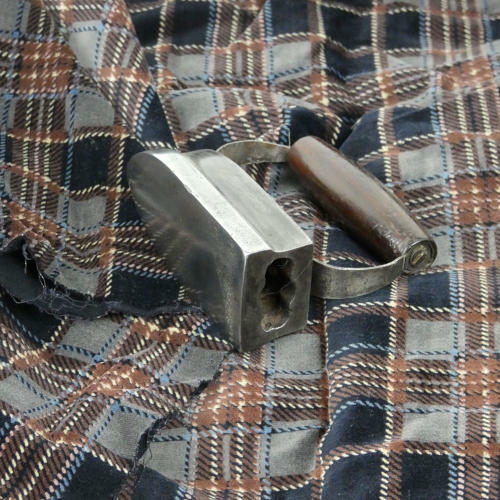 The iron itself is quite simple in form, with a turned wooden handle. It dates from c.1890 and it is in excellent condition.